Tavistock's collection of fluorescent illuminated mirrors are beautifully designed and boast a host of features. 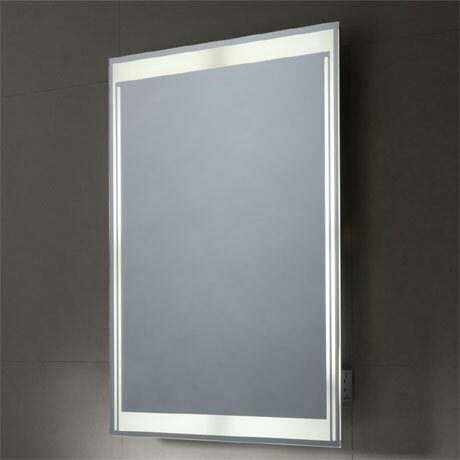 This Equalise mirror incorporates a fluorescent light that simply turns on and off via the infrared sensor which is located in the bottom right corner. This versatile mirror can be hung landscape or portrait to suit bathroom configurations whilst the heated demister pad ensures foggy mirrors are a thing of the past. The handy charging socket is perfect for charging electric toothbrushes and shavers.